It’s the opening verse of ‘Hymn to the Sun’, by Michael Roberts, and the reason for remembering this is that when I next looked at the magazine to see who had identified all three quotations, the winner was Janet Adam Smith. 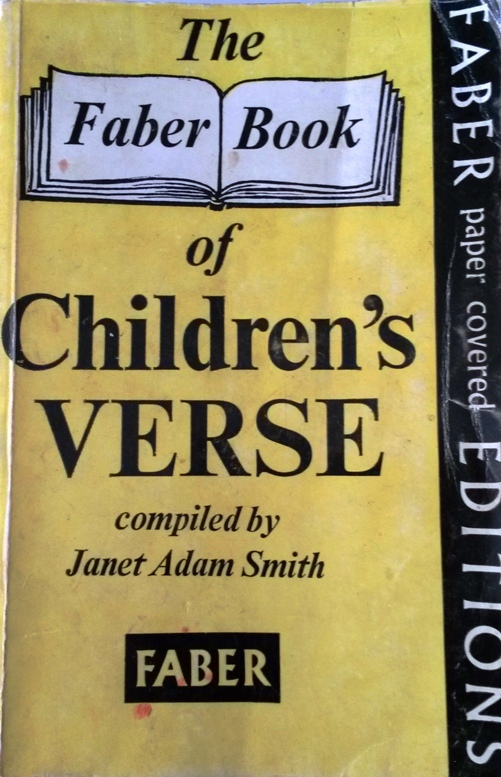 As well she might be, given that she was married to Michael Roberts, but the special connection for me is that she edited The Faber Book of Children’s Verse, a life-long favourite book of mine, from which I remembered Roberts’ haunting poem. The book is one that has been with me for a lifetime. Were I obliged to choose a single desert island volume, The Faber Book of Children’s Verse could well be it. It was my primary school text book, and I was so entranced by it that I was given my own copy (it dates from 1969, when I was eight). It has stayed with me ever since, not simply as a childhood memento, but because it had a real influence on my adult life. When I studied English Literature at university I made particular studies of eighteenth century poetry, Christopher Smart and ballad literature, all of which (though I did not consciously make the connection at the time) had seeped into my mind through reading Smith’s compilation. Lifelong favourites, such as Andrew Marvell, Ben Jonson and Arthur Waley’s translations of Chinese poetry, all began here for me. ‘Right as a Ribstone Pippin!’ But it lied. Often have I stood still and wondered and have had those lines come back to me, which seem not only to sum up some of life’s disappointments but to point to the function of the poet, which must be to wonder. Janet Adam Smith (1905-1999) was a writer, biographer (notably of John Buchan), editor and mountaineer. 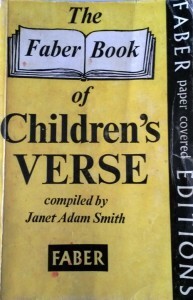 She edited The Faber Book of Children’s Verse in 1953, following on from her husband’s editing of The Faber Book of Modern Verse (another classic) in 1936. Her book compiles the poems into twenty-one sections, and the intriguing, imaginative structure that these give to the book are part of the secret of its success: Poetry, Music and Dancing; Night and Day, Seasons and Weathers; Beasts and Birds; Children; Victuals and Drink; Some People; Four Countries; Kings, Queens and Heroes; Nine Tales; Magic; Fairies, Nymphs and Gods; Witches, Charms and Spells; March and Battle; Dirges, Coronachs and Elegies; Marvels and Riddles; Voyaging and Travel; The Sea; Love; God and Heaven; Epigrams and Reflections; History and Time. There is a grand story that unfolds. Janet Adam Smith selected not poems written for children (rather a modern phenomenon, outside nursery rhymes) but rather poems expected to appeal to children (she claimed to have tested every selection on a child, though I have my doubts about some of the tougher, quainter selections in the book). The result is a work that never talks down to children, but rather introduces them to an understanding of the world, written in terms calculated to catch the eye and please the ear. As a child, I was drawn in particular to the sections on children and animals, to the Marvels and Riddles, and to the epigrams and the reflections on history and time, perhaps because I was philosophical in my way – more likely because they were short. That man is the superior animal. I confess, my friend, I am puzzled. And see the faun in our garden. There are the expected classics, of course – ‘The Rime of the Ancient Mariner’, ‘The Pied Piper of Hamelin’, ‘The Tyger’, ‘On First Looking into Chapman’s Homer’, ‘Kubla Khan’ – but also imaginative surprises at every turn. So, not just W.B. Yeats’s ‘The Song of Wandering Aengus’ but such happy jeux d’esprit as ‘The Fiddler of Dooney’ and ‘Brown Penny’. From T.S. 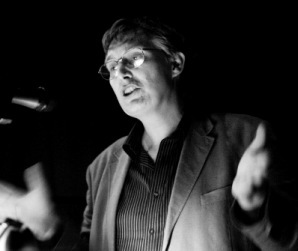 Eliot, not just the cat poems but ‘Journey of the Magi’ and quiet, observant lyrical pieces such as ‘Usk’ and ‘New Hampshire’ which tend to escape other anthologies. From John Milton the delicately rhapsodic ‘Sabrina Fair’ (taken from his masque Comus) and the the unMiltonic playfulness of ‘The Star that Bids the Shepherd Fold’ (“What hath night to do with sleep?”). Edwin Muir sits alongside Isaac Watts, Ogden Nash alongside Martial, Edgar Allan Poe alongside Taliessin. Was walking on the strand. 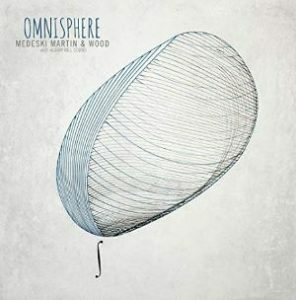 So poetry leads to film, demonstrating how words can not only conjure up pictures but show how pictures connect together, creating their own kind of poetry – other means by which to stand and wonder. Part of the interest I have in The Faber Book of Children’s Verse, and this edition of it, is how it breaches a time span that I recognise. It has roots in an older idea of the function of poetry for children, as something populated by cast-iron classics with more than a whiff of patriotism about them, to be learned by wrote and to be respected without question – a world from which my generation was in the process of escaping. 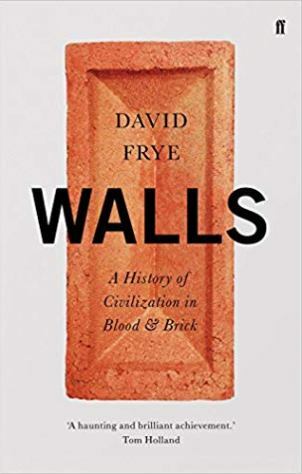 It leavens this with good selections from the moderns (up to 1953, that is), and idiosyncratic choices from across all forms of poetry, chosen for their quick delight to the imagination. Yet they are poems chosen for children rather than poems that children would necessarily choose for themselves. Children have been fortunate in recent years in anthologies put together by understanding souls like Michael Rosen, while more recent Faber anthologies such as Seamus Heaney and Ted Hughes’s The School Bag, or indeed the new edition of Children’s Verse edited by Matthew Sweeney, embrace more of the today while brushing away the fustiness of some of the traditional. Children do not need to know of Sir Henry Newbolt or Lord Macaulay when they can have Wallace Stevens, Emily Dickinson, Jo Shapcott or George Mackay Brown. If you are choosing an anthology for your child, give them Sweeney’s, not Smith’s – though better still, get them to choose it for themselves. They are words to have read once, to then linger in the mind, and to be returned to as time passes. It is an anthology, therefore, about the purpose of poetry and the enduring quality of childhood memories. She edited an anthology not just for a child but for a child’s lifetime, and made this the book’s theme as much as its function. It is a wise publication. It is one for the desert island.